Height Adjustable Padded Leg Rest With Tilt Option. This padded leg rest/footstool is adjustable in height and tilt to provide maximum comfort. 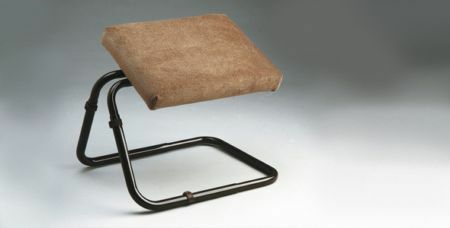 It has a dralon covered foam cushion top, on a steel frame. This height is adjusted with a pin clip system, and the angle of tilt is controlled by an easy to grip plastic knob. It can be disassembled for storage and is assembled in seconds without tools. Mum is really pleased with this so far! Very pleased with the leg rest. Easy to assemble and comfortable to use.